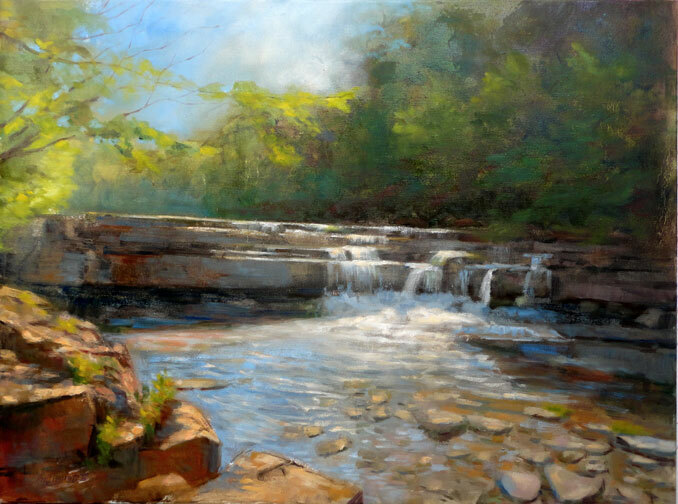 This original oil on canvas painting is a luminous summer scene of lower Taughannock Creek, located in Ulysses, NY, just outside of Ithaca NY, along Cayuga Lake. It’s painted in a realist style in brown, white, green, yellow, violet, blue, old, cream, and gray tones. Taughannock Creek, Ulysses, NY 30x40 in.